Australian singer and songwriter, Clairy Browne has always been one to forge her own path. Browne’s new solo album, POOL is out now via Vanguard Records and Caroline Australia, is a splash into a new era for the young artist. It’s about letting go, detaching, empowering and exploring her love for R&B music and pop music of all styles and eras. Browne’s previous project was as the front woman of the high-drama girl-group extravaganza Clairy Browne and The Bangin’ Rackettes. Their highly acclaimed debut album Baby Caught the Bus included the hit single “Love Letter” which was prominently featured in a Heineken commercial and two JC Penney spots that ran during the Oscars broadcast which helped spread and cement Browne’s international reputation. For POOL, Browne collaborated with some of the top producers and songwriters in Los Angeles. Her partner in crime is executive producer and songwriter Amanda Warner, aka MNDR (Mark Ronson, DJ Mustard, Rita Ora, Spank Rock and Charlie XCX). Writing and recording with a new and diverse group of people, to include Jesse Shatkin (Sia, Kelly Clarkson), Jimmy Harry (Pink, Madonna), Rob Kleiner (Cee Lo, David Guetta), and Peter Wade (Kid Ink, Jennifer Lopez,) Browne channeled a lineage of fierce women, inspired by the likes of Grace Jones, Madonna, Nicki Minaj, Beyoncé, and Tina Turner. POOL showcases eleven tracks that are stuffed with unique pop culture references, pop rhythms and big soulful ballads. The track “Still Goodbye” is a deeply emotional song that Browne wrote after ending the U.S. tour with The Bangin’ Rackettes. Brisbane’s annual music conference BIGSOUND has unveiled the first round of live acts who will showcase at this year’s festival. Native Tongue writers Clairy Browne and Ivan Ooze have been announced on the lineup, alongside Plus One Records writer Luke Daniel Peacock. 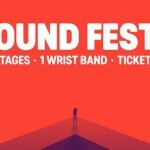 BIGSOUND takes places from September 7th to 9th in Brisbane. Australian singer and songwriter, Clairy Browne has always been one to forge her own path. Browne’s new solo album is a splash into a new era for the young artist. “Pool” celebrates the divine and whip-smart Clairy Browne’s love of R&B and pop music of all styles and eras. From its robust takedowns, to its big soulful ballads, to its pop rhythms thick with dope beats and sticky melodies to burn, it is set to be the summer club record. Undoubtedly, “Pool” is Clairy Browne at her most carnal and emotive. “Pool” will be released this Friday April 15th via Caroline Australia. Native Tongue America have secured a notable sync for Clairy Browne & The Bangin’ Rackettes. An advertisement for JCPenney featuring ‘Love Letter’ made its debut in front of millions during the US Academy Awards (Oscars) telecast this week. The prestigious International Songwriting Competition (ISC) has announced its 2012 winners and Native Tongue artists have once again polled highly. Taking out first place in the AAA (Adult Album Alternative) category was Clairy Browne & The Bangin’ Rackettes for their song, “Love Letter”. The hit single also featuring in the 2012 Heineken beer commercial ‘The Switch’ which rolled out across Europe & the US last year. Also securing a placing was Alexander Gow from Oh Mercy who won second place in the Adult Contemporary category for “Drums”. Alexander is no newcomer to ISC, with a third placing last year for “Stay, Please Stay”and Honorable Mentions in both 2011 and 2010. The band’s third studio album, Deep Heat, features the ISC winning song “Drums”, and has already earned the band ARIA nominations, AIR and EG awards, and supported a sold out national tour followed by shows with Father John Misty, Paul Kelly and Neil Finn to name a few. Alexander also received an Honorable Mention in the Rock category this year for his song, “Fever”. Over 20,000 entries were submitted for the 2012 competition from 119 countries worldwide, and for the first time ever, more than half of the competition’s 68 winners are from outside the USA. Established in 2002, ISC awards more than USD$150,000 in cash and prizes, “ISC’s mission is to inspire and promote greatness in the field of song writing,” says Candace Avery, Founder and Director. “It is humbling to hear so many talented songwriters, and it is gratifying to play a part in the growth of the winners’ careers.” Past ISC winners include Gotye, Kasey Chambers, Amanda Palmer, Kate Miller-Heidke, Gin Wigmore, King Charles, Kimbra, Passenger, Andrew Bird, The Living End, Eskimo Joe, and many more. The ISC Grand Prize was awarded to California songwriter Joshua Hanson (Yellow Red Sparks), for his folk song “Monsters With Misdemeanors”. Native Tongue are thrilled to have signed soul outfit, Clairy Browne & The Bangin’ Rackettes. “From the first moment I heard the record I wanted to sign them,” said managing director Chris Gough, “Their stunning live show only emphasised how brilliant the band and their songs are. The reaction we’ve been receiving from our partners around the world has confirmed this band has a brilliant future ahead”. Front woman Clairy Browne and her harmonizing girl group, the Bangin’ Rackettes formed in 2009 over a mutual love of early rhythm n’ blues records and big hair. Since their debut, the group have been bringing back the big show to venues and festivals all over the country. The nine piece rhythm and blues big band explore the sounds of northern soul, jump blues, doo-wop, ska and gospel. Fuelled by an eclectic mix of influences ranging from Etta James, Tina Turner and Prince to D’Angelo and Salt n’ Pepa, Clairy Browne & the Bangin’ Rackettes are renowned for delivering a dynamic and energetic live show with their contemporary take on all the showmanship from the shindig era of the 60’s. Their debut album ‘Baby Caught The Bus’ is out now.